Asian markets were mostly higher on Friday when US and Chinese officials started a fresh round of negotiations in Beijing. increased 1%. The country's retail sales dropped slightly in February from a month earlier, preliminary data showed. But industrial output rose 1.4% compared to the January decline of 3.4%. Unemployment hit market expectations at 2.3% in February from 2.5% in the previous month. 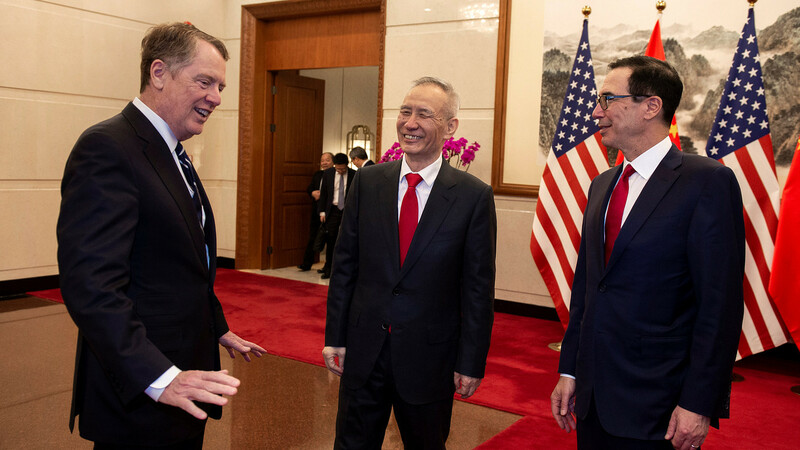 U.S. dealers led by trade representative Robert Lighthizer and state secretary Steven Mnuchin attended a working dinner on Thursday evening with Chinese vice president Liu He, who is expected to travel to Washington next week. The three of them made a photo of a government's guesthouse before the resumption of the resume on Friday, but did not speak to journalists. "Investor eyes will be glued to news feeds looking for more detail – rumored or true – evident from the negotiations. This could lead to an abrupt intra-day volatility across the markets," Jingyi Pan of IG said in a market comment. The news about the negotiations was read as largely positive by the markets. In a speech in Washington on Thursday, the White House financial adviser Larry Kudlow said the US administration was prepared to continue trade negotiations with China for weeks or even months. This was taken as a sign of commitment to reaching an agreement. On Wall Street, the trades drew a dissuasive message from the trading department. It said that economic growth in the US had fallen sharply in the last three months of 2018 at an annual rate of only 2.2% due to weakness in consumer spending, business investment, government spending and housing. used to price international oils, edged up 37 cents to $ 67.47 per. Barrel. The contract shed 14 cents to $ 67.10 per. Barrel in London. USDJPY, + 0.14%, strengthened to 110.78 yen from 110.63 yen. Provides critical information for the US trading day. Subscribe to MarketWatch's free need to know newsletter. Sign up here.